Monaco, officially the Principality of Monaco, is a small sovereign city-state located on the French Riviera in Western Europe, surrounded on three sides by France while the fourth side borders the Mediterranean Sea. It is the second smallest country in the world with an area of 75 sq. miles – only the Vatican City being smaller. It is a constitutional monarchy ruled by the House of Grimaldi – in effect since 1297 when Francisco Grimaldi dressed as a Franciscan monk captured the fortress which is now the Prince’s palace. The House of Grimaldi is closely associated with the history of the Republic of Genoa. Statue of Francisco Grimaldi outside the Prince's Palace. The opening of the casino in Monte Carlo, one of the country’s quartiers, in the late 19th Century spurred economic development, and its status as a tax haven have ensured Monaco’s popularity with wealthy foreigners who make up the majority of the population (approx. 84%). 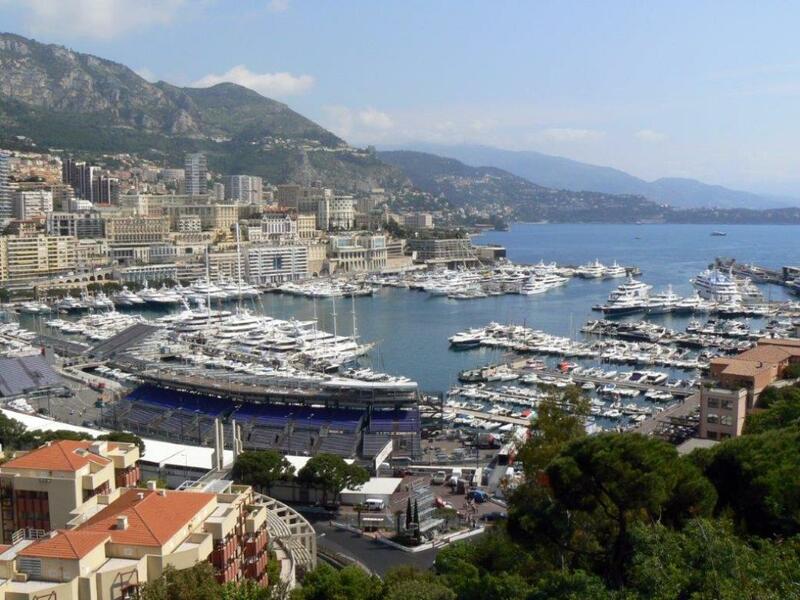 Because of the casino and the Monaco Grand Prix it features extensively in motion pictures and in crime fiction. The marriage of the actress Grace Kelly to Prince Rainier III also gave it world-wide publicity. Looking out across Monte Carlo Bay towards the Monte Carlo Bay Casino. Looking across Monte Carlo Bay to Larvotto. Larvotto at the Eastern area of Monaco. Reclamation of land to increase the country’s area and other pressures over time have resulted in changes in the wards of the Country but the four traditional Quartiers of Monaco are still recognised to be Monaco-Ville, La Condamine, Monte Carlo and Fontvieille. However, the suburb of Moneghetti, the high-level part of La Condamine, is generally seen today as an effective fifth quartier of Monaco. Entrance to the Café de Paris. The Casino of Monte Carlo. Cathedral Notre-Dame-Immaculae - also known as Saint Nicholas Cathedral. The High Altar in the cathedral. Tomb of Princess Grace of Monaco (the former actress Grace Kelly). Until 2002, a treaty between Monaco and France stated that if the Grimaldi family ever failed to produce a male heir the sovereignty over the territory would pass to France. The 2002 agreement modified this to make provision for a regency and continued Monegasque sovereignty if such an even were to occur. The Prince's Palace - built in 1191 as a Genoese fortress. Main entrance to the Prince's Palace. An article on The Oceanographic Museum in Monaco appeared in Pittwater Online News Issue 138, November 24-30, 2013. Outlook near the Oceanographic Museum. The Oceanographic Museum on the cliff edge overlooking the Mediterranean Sea.